A friend's wife once told him she was mad because they weren't watching enough football. I've tried the I have no other vices approach to no avail. Last time she said that unlike a Tulane game, at least the brothel would provide a Happy Ending. Marrying a Tulane fan may require mockery on a regular basis. I can't count the number of times she has said some version of "Does any of this even matter?" Next time this comes up with your wife of under two years, share this. I don’t drink to excess (unless Tulane is getting beaten particularly badly) and if I do, it’s at home. I don’t have expensive vices like a lot of spouses do: I don’t gamble, don’t spend all my time working on cars, don’t buy multiple-thousand dollar bicycles, don’t try to pose as a biker dude with a $20k Harley, don’t spend all my time in fantasy leagues. I am a good spouse. I raise the toilet seat and do all the honey-do lists without fail. So give me this one thing. 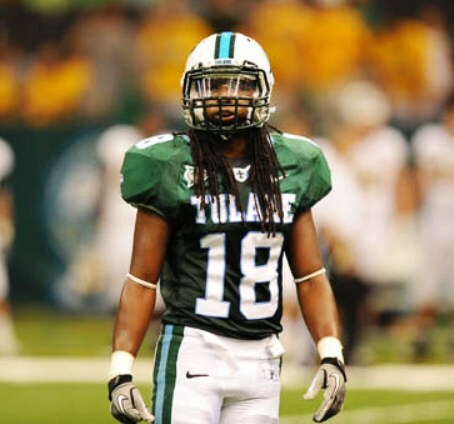 I am a Tulane fan, God help me. Yes, they lose a lot, but when they win...oh my! No matter the agony, there is sometimes ecstasy. And in the final analysis, it’s all harmless. Would you rather your husband REALLY get into trouble? This made me smile. And it might actually work. Thanks TUPF. What, no. Please send your misguided wife to a gab session with Greenie Gals. I was lucky that Coach Hullabaloo moved down to New Orleans the 1998 season, and then randomly got paired up with work colleagues at his job that were local yats who were also Greenwave fans. And then the Katrina season wound up being the way that we were able to keep in touch friends. We made a point of driving back to New Orleans via Shreveport for the MSU game. We were so grateful to see long lost people there and for our faux "homecoming" game at Tiger Stadium that year. We wound up getting stuck like white on rice onto athletics since we had only been "casual" fans before then. Truly truly grateful for all the friendships and connections we've made through following the Wave. So, in short: Yes, it matters. Some of this I'm sure will eventually filter into his Advocate pieces but perhaps not all. If you don't subscribe to his site, you should. I would apologize for starting this whole thing, but complaining here is much cheaper than therapy. Back to basketball, tomorrow is a huge game. For future reference, you need add "yet" to "That's not gonna happen" because first comes the empty nester thing, which I am in the midst of, and then the retirement thing, a la TUPF. Funny how Tulane sports fanaticism is more tolerated in these future stages (at least in my case). Roll Wave!! !